There is no bad time to travel to Asia, it is just that some times are better than others, depending upon what you like. Some like it hot and some totally don’t. 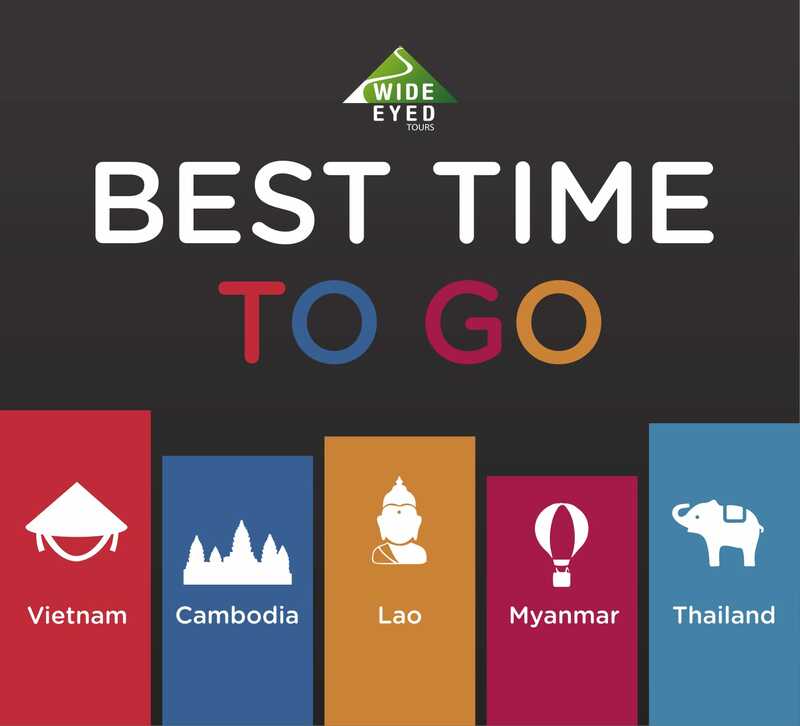 We know the weather in Asia is complicated, so we have put together a simple document so you can quickly and easily find out the answer for “When is the best time to travel” question. The climate here is one of Asia’s most straightforward, however whilst some avoid the wet months, they can be the most picturesque because the rice fields are green and lush and the temples at their most photogenic with bright green moss on the temples. Plus it is low season so less people, although it is not so ideal for those chasing the sun on the coast. This country is blessed with a very simple weather pattern. There are three seasons in Myanmar, with the hot season being exceptionally hot and the cool season being incredibly pleasant. Thailand has a complicated mish-mash of seasons but in general the weather is warm, humid and tropical all year round.